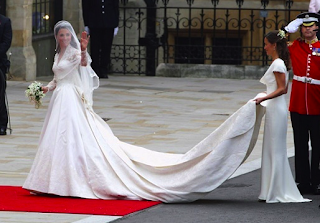 Yesterday, the world watched as Prince William and Kate Middleton tied the knots. The bride wore a custom made dress by Sarah Burton for Alexander McQueen. She looked stunning and radiant in the ensemble. 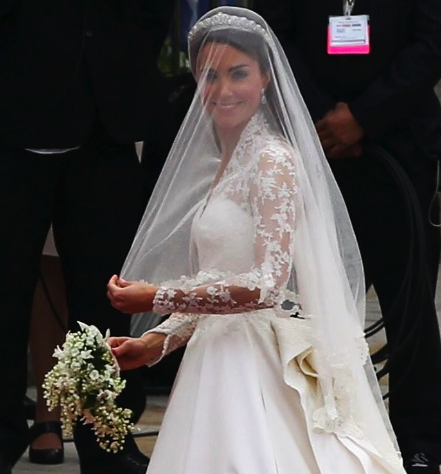 She wore a vintage tiara from Cartier. She will bring balance to the British monarchy. This coming Monday, the late Alexander McQueen is being honored for his achievements in fashion. His works from Givenchy and his own label will be displayed at the Metropolitan Museum of Art. I am hoping women attending this event will be wearing fashion forward hats for the occasion. The word simplicity was not Lee's vocabulary. Expect avant garde fashion this coming Monday. Once again, the red carpeted stairs of the MET will be filled with the most powerful figures in fashion, business, and politics. Congratulations to Anna Wintour's amazing effort to keep the Costume Institute alive. McQueen will be always a part of history. My good friend, Constante Flores, of Roger Vivier invited me for a book signing at SAKS Fifth Avenue. 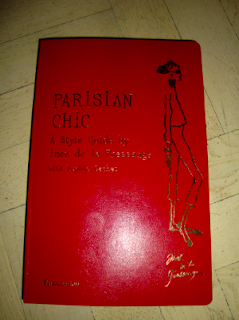 The brand ambassador, Ines de la Fressange, is in town to sign her new book "Parisian Chic". I met Ines through a good friend of mine 2 years ago. What I admire about this woman? She never forgets your name. If you made an impact on her, she will remember you. I have the signed copy of the book and I will start reading it. For me, she is the ultimate face of a Parisian woman. I went to the event with the glamorous Paola Isabel Tornito. It was a fun event. One of my closest friends, Danielle Smit, organized an intimate dinner for my birthday at Nobu downtown. As much as I want to eat seafood and fish, I developed an allergy from last year. I had no choice, but to order meat. Danielle and Ben surprised me with an amazing gift from Lanvin. 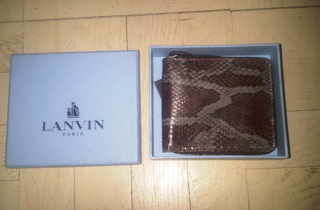 I may not have the clutch, but they gave me a snake skin wallet. My jaw dropped. The color scheme of the accessory is in burgundy and gray. On top of that, she wrote a very sweet note. 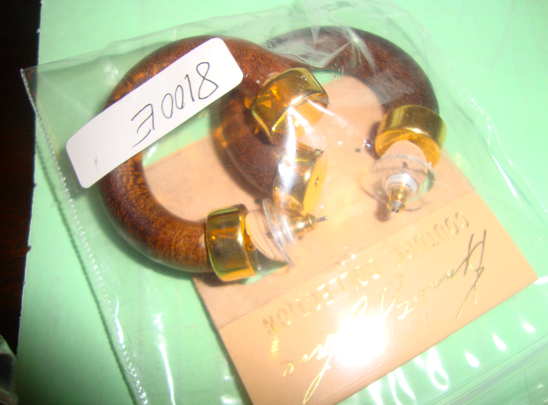 Present last night were Paola Isabel Tornito and Roger Wilson. Next week, I will be celebrating my post birthday with different friends. It is so difficult to find fun accessories for men. 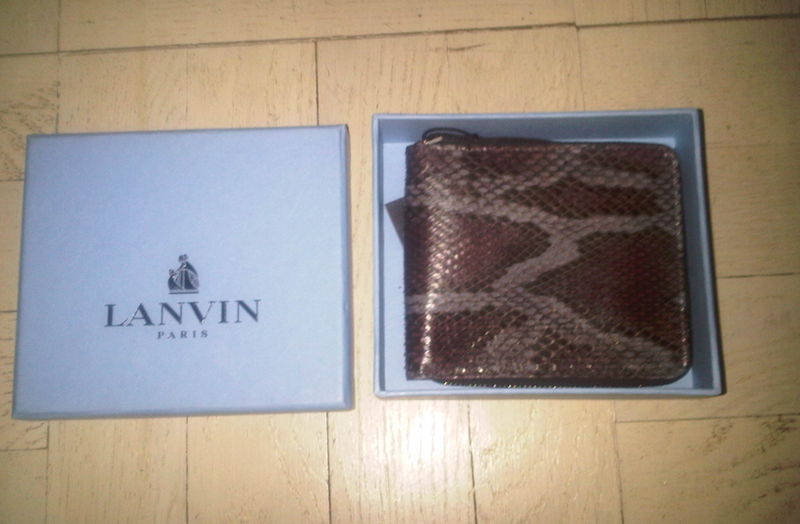 For Spring 2011, Lanvin designed an amazing line of snake skin accessories. When I was in Paris, I saw the complete line in different colors. 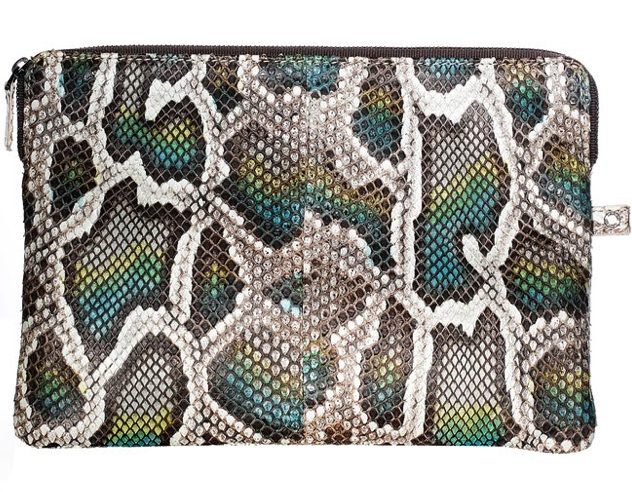 If you are looking for statement pieces, this is the perfect clutch to carry around the city for Spring. Don't you think it is amazing? I do. This past Sunday, Reese Witherspoon's movie "Water for Elephants" premiered at New York's Ziegfield Theater on 54th Street. 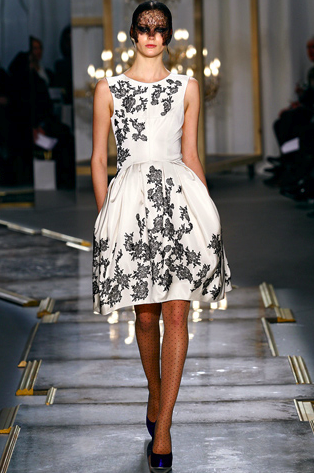 The academy award actress wore a white cocktail dress from Jason Wu's Fall 2011 Collection. The dress was adorned with black silk lace appliques. She carried this number from the designer very well. When stars do not exert too much effort with their outfits, they shine on the red carpet. Her stylist did an amazing job by making her look young and fresh. Indeed, it is the perfect choice. Simplicity is the essence of sophistication. For Fall 2011, Fendi designed a luxurious clutch. 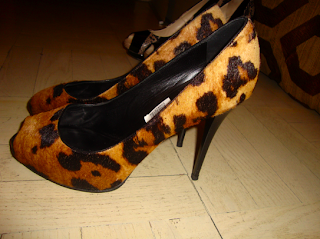 For me, this will be the evening accessory of the season. Mixed with colored stones and shagreen, Fendi defined the meaning of luxury. 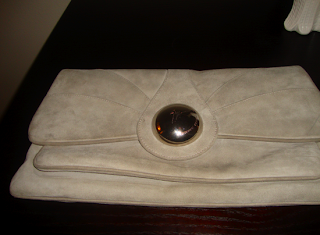 Nowadays, it is difficult to find a beautiful clutch without the logo being seen. I hope the stores ordered this amazing piece of art. 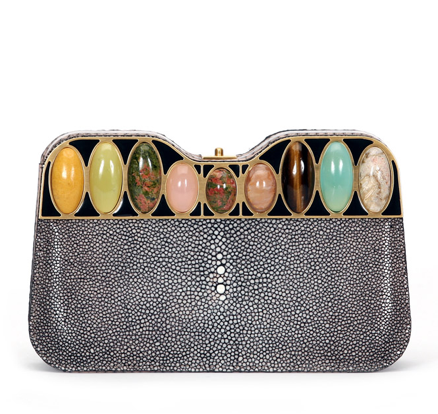 It is rare to find a treasure like this Fendi minaudiere. Watching tonight's episode of Real Housewives of New York was rollercoaster ride. Sonja Morgan is the most hilarious, funny, and confident woman in the show. She adds up some humor to the group. She is confident in her own skin. BRAVO made the right choice of adding Sonja to the cast. She is my favorite house wife ever. Her beauty and personality made the show pleasing to watch. THE MOST POWERFUL BEING IN FASHION- ANNA WINTOUR!!! 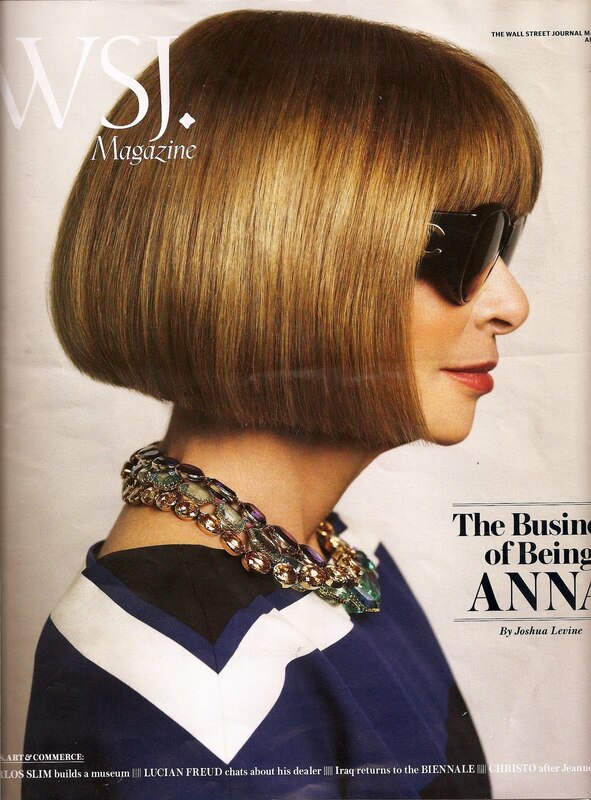 Anna Wintour's cover for Wall Street Journal is simply divine. She is the most POWERFUL editor in the world. She surpassed the prestige of Diana Vreeland and all the previous editrix of Vogue America. The article was so inspiring. She will stay in power till she decides to retire. Whatever you say about Anna, she is still on the top of the food chain in fashion, business, economics, and politics. Indeed, she is a smart woman. She is an inspiration to mankind. For me, all allegiance to her. She is the true FASHION ICON. No one beats Anna. Please get a copy of WSJ's April issue. You can't beat her. Simply the best. 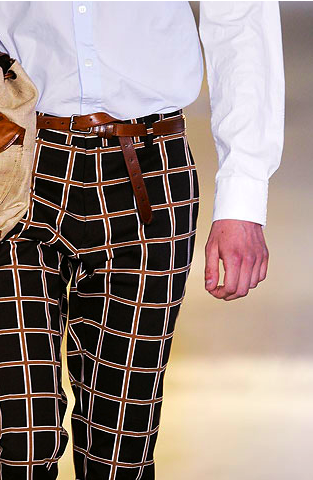 Every season, Dries Van Noten delivers a strong collection. With no advertisements, he established a cult of loyal followers. I am one of them. For Spring 2011, he designed splattered paint shirts inspired by the late artist Jackson Pollack. Instead of using black and white, he added colors of fuschia, gray, and blue. I have seen copies of this shirt on the internet. For me, it is better to wear the original. 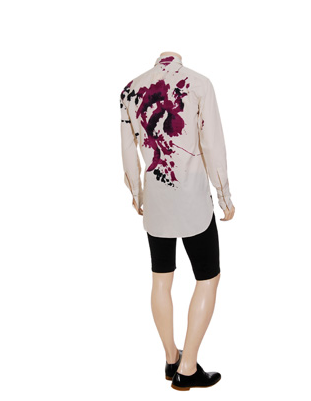 Barneys New York, Jeffrey, and Bergdorf Goodman carries Dries Van Noten. For me, he is one of the best menswear designer in the world. I will not stop wearing his creations. Paint can be fun. 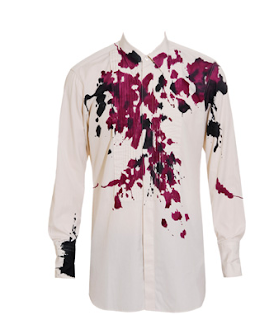 Dries made it the must have shirt for Spring. 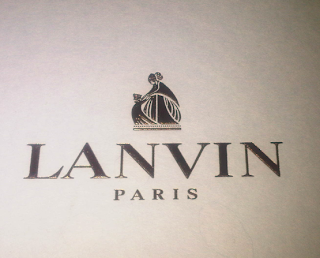 Lanvin always comes up with the perfect sandals for Spring. 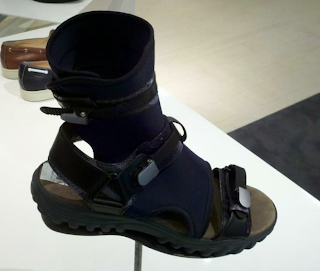 This season, the house made a version of the modern sporty sandals in neoprene, leather, and python. They always think outside the box. Thus, producing amazing accessories for men to wear. 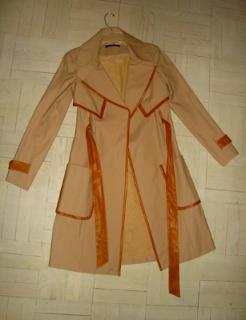 In the USA, Barneys New York is the most aggressive company that buys pieces from the runway. If you have $995.00 to spend, I suggest you go to the store and purchase one. Please look for Howard. 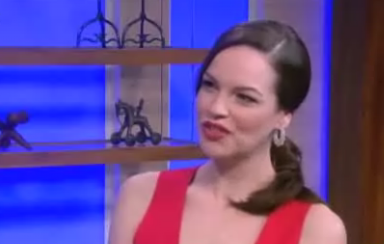 Today, my client has a guest appearance for a talk show. I had a fitting with her last night and she loved the whole ensemble. 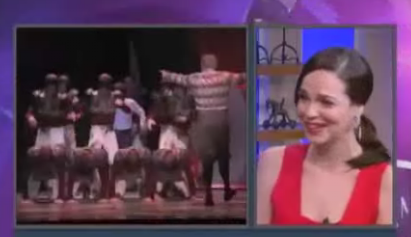 She will be promoting her show on broadway. I always tell all my clients that they are like paintings. My job is to add a few brush strokes to it. Voila! The complete look is done. I always believe in simplicity is the essence of sophistication. Her peach/pink Rachel Roy dress will stand out during the broadcast. Now, I can rest this weekend. The coming weeks ahead will be so busy. I can't complain. I love what I am doing. Tomorrow, my client will appear in a morning talk show. 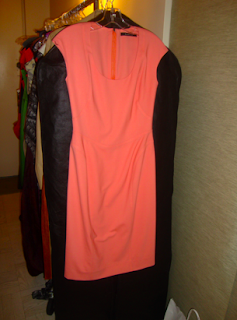 She will be wearing a peach/blush pink dress from Rachel Roy. The shoes and day clutch are from Giuseppi Zanotti. 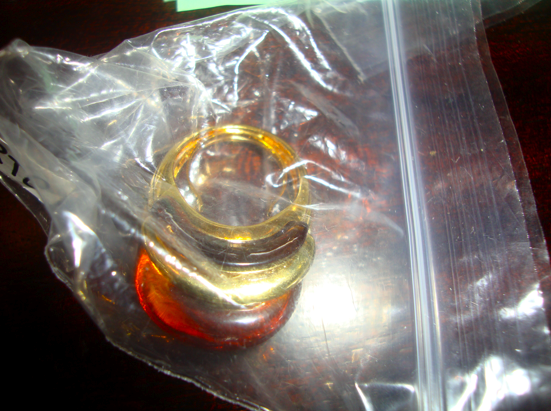 The jewelry are from Kenneth Jay Lane. The amazing trench coat is from Cynthia Steffee. When styling a client, I always like it when they look clean and simple. The accessories vamp up the entire look. I am glad that everything is working good. Well! It is time to relax. 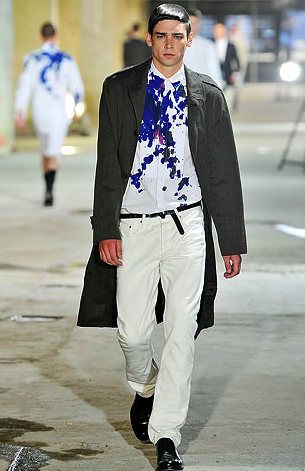 For Spring 2011, Dries Van Noten delivered a spectacular men's collection. I have been a huge admirer of his talent for the longest time. Mystery man loves to tease me about Dries Van Noten. He knows that I love wearing his creations. He always tells me, "Boogie, your closet is full of Dries. Don't you have enough?" Then, he starts to laugh. Finally, I found the perfect trousers for Spring. I was at Bergdorf Goodman a couple of days ago. I went straight to the section of Dries. 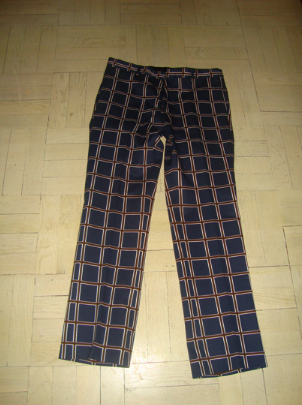 I found these amazing window pane print trousers. With my weight back to 140lbs, I am so excited to wear my new purchase. Besides shoes, I love buying beauty products for my body. It takes me an hour to get ready in the morning. 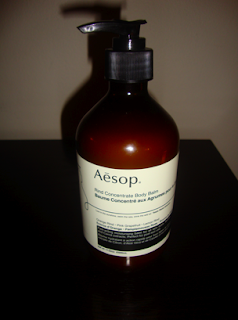 I am loving all the products of AESOP. The brand originated from Australia. What I'm using right now? Aesop's body balm with Rind concentrates. It contains orange, grapefruit, and lemon. I moisturize twice a day to keep my skin fresh and alive. 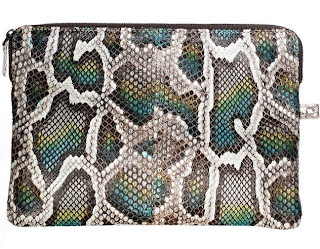 It is available at Barneys New York. It is quite expensive, but it is worth it. I had a fitting with my client last night. She told me that she was so happy with the Donna Karan dress she wore to the premiere at the Plaza Hotel last Sunday. 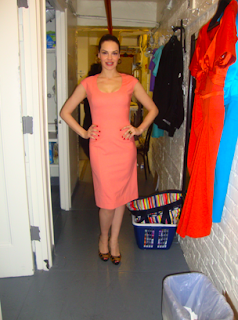 My client is currently performing on broadway. Today, she went to the NBC studios for an interview. She wore a red sheath dress from Cynthia Steffee. Her shoes are from Giuseppe Zanotti. The lilac lucite earrings with gold studs are from Kenneth Jay Lane. The hair and make-up completed the whole look. Besides her physical beauty, she has a heart of gold. The relationship I have with her will be long lasting.